Your business has a web site and a blog. You send out emails and apply search engine optimization. So why bother with social media? The fact is that social media marketing is becoming one of the primary methods to generate online business. Social media firms can help you to take full advantage of this online marketing channel to help your business success. Google pays attention – all of the major search engines including Google, Yahoo, and Bing monitor social media posts and will adjust your search rankings based on activity on social media sites. If your social media posts are getting attention, it will affect how your business is listed in search results. Almost immediate feedback – social media can help you to accelerate online marketing activities. As soon as you post a blog or a message on your social media site your followers can respond with feedback or at least acknowledge that the message was read. The number of “likes” or “retweets” can help you to understand what is effective online and what may need further tuning. 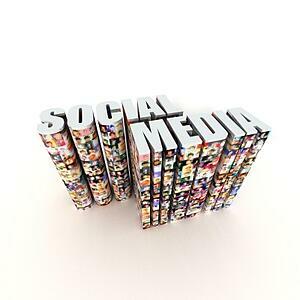 Going viral – social media makes it very easy to let interesting or informative posts to spread very quickly. One reader can share a post or retweet which will send it to their friends, and so on. The right type of posts can move very rapidly to hundreds or thousands of people. Targeted marketing – the social media channel also allows you to build on reaching your target audience. Through keywords and links to industry pages, LinkedIn groups and other social media sites you can reach leads that would have otherwise been ignored. Strong analytics – with robust tools such as Hubspot you can monitor not only regular online activity such as web site traffic but also social media activities such as click-through from social media sites and originating pages. Social media firms can help you to build a successful lead generation strategy that will fully utilize Facebook, Twitter, LinkedIn and other sites. For more information please call us directly or click the button below and we will contact you. Thank you.